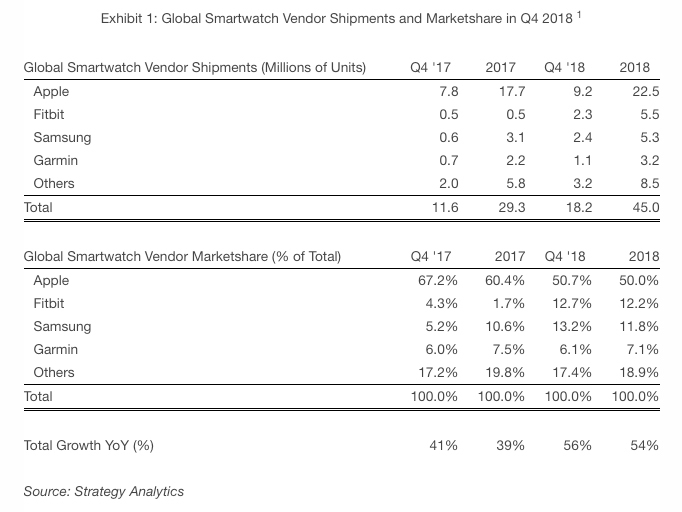 Despite a general sense that the smartwatch industry is on the decline, the Apple Watch is still selling well, according to a recent study from Strategy Analytics. The analytics firm says that 9.2 million Apple Watch units shipped worldwide during Q4 2018, an increase of 18 percent from 7.8 million units in Q4 2017. Smartwatch shipments worldwide also grew by a total of 56 percent, hitting 18 million units in the quarter. That said, Apple’s dominant position in the smartwatch market is shrinking according to the firm’s data, with its share hitting 51 percent during the quarter. This is down from 67 percent last year over the same time period. With this in mind though, Apple still holds the top spot in global smartwatch market share, followed by Samsung, Fitbit and Garmin. It’s worth noting that Strategy Analytics’ study doesn’t break out individual Apple Watch Series 1, Series 2, Series 3 and Series 4 shipments in its study. In Q1 2019, Apple’s ‘Other Products’ category generated $7.3 billion USD (roughly $9.6 billion CAD). 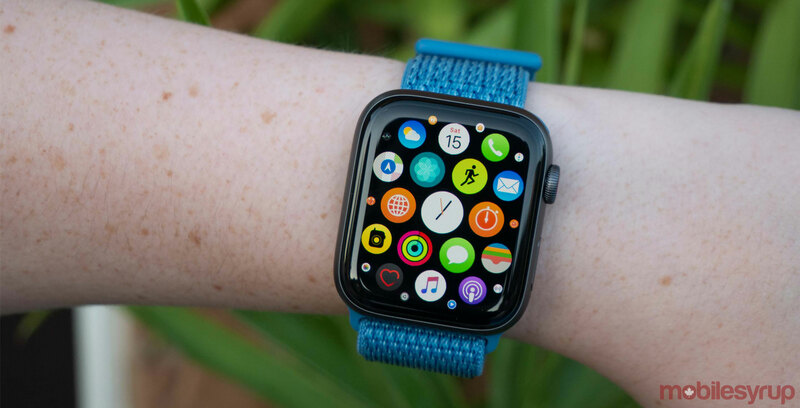 The most recent Apple Watch is the Series 4, the tech giant’s first major revision of the wearable since its initial release back in 2014. The watch features a larger display, additional Watch Faces and a built-in ECG feature that isn’t yet available in Canada.